A daughter, a widow, and a wife…three women overcome their personal tragedies with strength and determination and selflessly give back to society with such kindness and generosity that they leave imprints in everyone’s hearts. Their success is another matter altogether and comes secondary to them. Here is their story. Twenty-seven-year-old Tiffany was born in a multi-cultural military family. Her father Lt. Gen. (Retd) T.P.S Brar, PVSM, YSM was a Sikh and her mother late Leslie Brar was an Anglo-Indian. Six months after her birth, her parents suddenly realized that, and there was a problem with the retina that could not be rectified. Commissioned into the elite 1st Maratha Light Infantry in 1966 Gen. Brar had fought in the Bangladesh war in 1971. He was awarded Yudh Seva Medal (YSM) for his role as part of IPKF in Sri Lanka. He rose to the rank of a Lt. Gen. and held many prestigious appointments during his service. But this was one battle he could not win. He consulted the top doctors but in vain. Now one of them could help Tiffany see. She was destined to be visually challenged. Due to her father’s transferable job, there was no continuity in Tiffany’s schooling. She also did not have a very happy experience in school. The atmosphere was not very friendly. And as she soon discovered people in most parts of our country are not kind to those with disabilities. But, as they say, every disadvantage has an advantage attached to its tail Tiffany picked up five Indian languages and became multi-lingual. That is when she came across the co-founders of Braille Without Borders this changed her life. She started working as a receptionist in 2009. She learnt computers and started traveling around Trivandrum, by bus and train all by herself. While working at Kanthari, she discovered that many blind people confine themselves in a cocoon-like comfort zones and have no one to bring them out of it. Suddenly she has a mission before her. Driven by a strong urge to do something, she enrolled herself for a special education course at the Ramakrishna Mission Faculty of Disability Management and Special Education in Coimbatore, Tamil Nadu. She was the only blind student studying there at that time. The faculty and the management were very cooperative. They made sure she got her notes on time. By the time Tiffany passed her B.Ed. in Visual Impairment Special Education the concept of Jyothirgamaya (Leading to Light) Mobile school was born. Jyothirgamaya means ‘leading to light’. Its aim is not only lead the blind to live enlightened and holistic lives, but also attempts to give the sighted population a new perspective on how to look at the blind. A pioneering effort in Kerala, Tiffany’s Jyothirgamaya, a mobile school for the blind has been offering training to blind children and adults at their residence. Today Jyothirgamaya is a well-known name as a non-profit Organisation in faraway Trivandrum also known as Thiruvananthapuram, in Kerala. A brainchild of Tiffany Maria Brar Jyothirgamaya (Leading To Light) Mobile school for the blind has a novel philosophy behind it. “If the blind cannot go to school, let the school go to them”. Today her organisation has helped many others to learn Braille, basic computer skills and mobility. Its mission is to empower the blind through individual need based training and conducting “Road to Independence” training camps in all parts of Kerala. 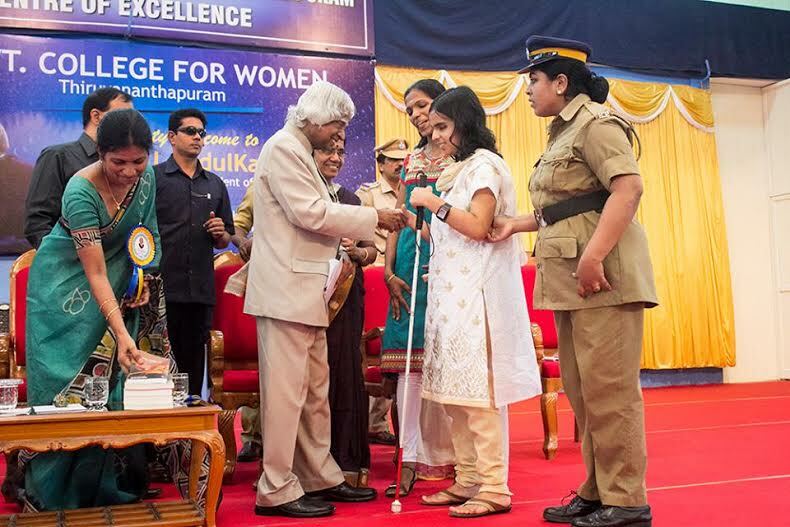 The Kerala government awarded Tiffany the State Disability Award in December 2012. She has illuminated the light in the lives of so many visually challenged and hopeless people, who could say she was born with the same darkness in her life. Subhashini Vasanth lives with her two daughters in Bangalore. 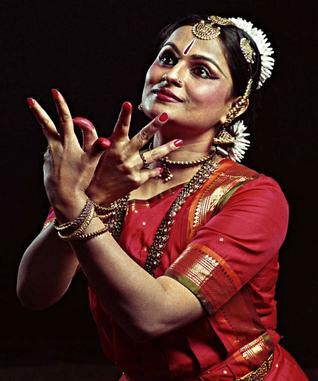 She is an accomplished classical Bharatanatyam dancer and holds a graduate degree in Psychology, Literature and Journalism. She teaches classical dance, enjoys modeling and acting. She has played the lead role in a play she wrote called “The Silent Front” that highlights the strength and sacrifices made by a soldier’s wife. She loves travelling and has done so extensively – traversing the most inaccessible areas in India as an Army wife, and across picturesque European locations as a dancer. She has set up the Vasantratna Foundation for Art in the memory of her husband, Col Vasanth. Through it she reaches out to children of martyrs, especially those from the ranks, to help them with their education in the form of scholarships. Colonel Vasanth Venugopal, AC, was Command 9 Maratha Light Infantry. He died fighting insurgents in Jammu and Kashmir on the Line of Control in Uri Sector. He was awarded Ashok Chakra (Posthumous) for his gallant act and supreme sacrifice to the nation. The Ashoka Chakra is awarded for the “most conspicuous bravery or some daring or pre-eminent valour or self-sacrifice” other than in the face of the enemy. Col Vasanth is the first person from the state of Karnataka, India to receive this honour. • To empower women from martyrs’ families through education and the arts, and help them to discover their potential to achieve their goals. • To educate and train children of such families. • To develop relationships between Army families on the one hand and members of the larger society who are willing to reach out, on the other. • To increase public awareness of the sacrifices of soldiers and their families. • To provide family counselling and legal support. An Army wife, mother of two, a restaurateur with a social cause, a former beauty queen, an international swimmer and a wannabe biker; 38-year-old Deepa Malik wears a multitude of hats. She firmly refuses to let any conversation veer to sympathy that her disability often attracts. Paralysed below the chest with three spinal tumor injuries Deepa has been in a wheelchair for the last 16 years. In spite of this she won numerous accolades including the coveted Arjuna Award in 2012. She is known as an International sports person, medallist, first paraplegic woman biker and car rally driver. From swimming against the strong Yamuna current or riding a special bike or even taking a shot at the Paralympics, she has done it all! 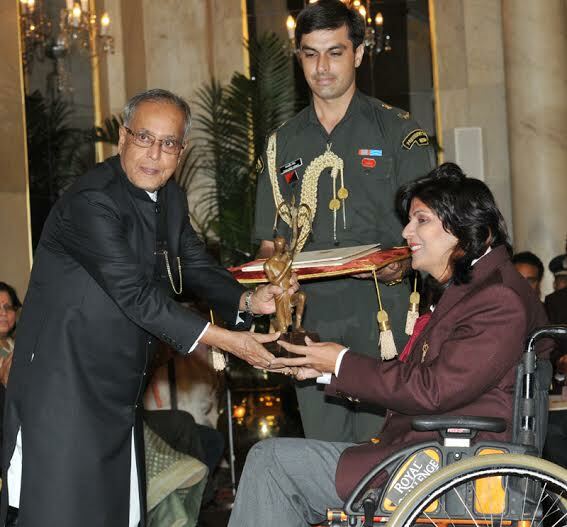 National and international medals in swimming, shot-put and javelin throw are just a few of the exhaustive list of activities that can be attributed to Deepa Malik. 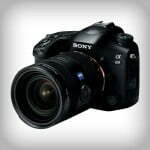 She participated in the formidable the desert rally storm and Raid De Himalaya in 2009. She received the True Grit Award for outstanding courage. She was nominated in Limca Book of World Records for her swimming feats. Wife of a veteran Cavalier officer, Col. Bikram Singh and daughter of a Col. Nagpal, an Infantry officer, Deepa is very proud of her Army origin. Her husband, two daughters, family and friends supported and encouraged her every step of the way. Deepa is a motivational and inspirational speaker. She is also a member of the working group for the 12th five-year plan (2012 -2017) on Sports and Physical Education and was nominated by the Planning Commission HRD Division on behalf of Sports Ministry. She believes that it is important for one to think beyond the stereotype and follow your heart. Her motto: Ability Over Disability! They are but three ladies who have overcome their setbacks to carve out distinctive niches for themselves and also generously given back to society with compassion. They are an inspiration to us all.